Update: Publishing on LinkedIn has been rolled out to all. Learn how to publish content on LinkedIn Pulse here. Ever wanted to get published on LinkedIn Pulse? Well get ready to roll up your sleeves and start writing: Today, LinkedIn announced that soon, all members will be able to post on the social network’s publishing platform. Though we haven’t gotten access to try it out for ourselves, LinkedIn’s help center says that publishing is pretty simple. Here’s how it works. If you have permission to publish (access will be slowly rolled out to everyone over the next few weeks), you’ll be able to click the Edit icon on your homepage. Then, you’ll be taken to the writing tool. Add whatever content you’d like to publish to the writing tool, then hit publish. Once you publish, your post will appear on your profile and be shared with your network — people who you’re connected to and members who just follow your posts. You’ll also be able to follow others’ content without being a LinkedIn connection. After you publish, you’ll be able to monitor your post’s stats such as views, likes, and other metrics, and flag inappropriate comments. 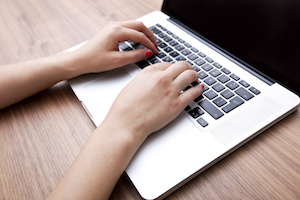 Pretty simple to write, edit, publish, and measure your content, right? With the rise of publishing platforms like Medium, everyone’s trying to get a piece of the self-publishing pie. Why? Because people go where the content is. Creating content and building an audience is hard, but if you can get other people to do some of the heavy lifting (creating the content and sharing it with their networks), you’ll be golden (and ready for the next move, which is typically monetization through ads). Since LinkedIn relies on advertising to grow its business, this feature release makes sense. Only time will tell how successful this move will be for them, but for now, it’s interesting to see how more and more social networks are trying to become publishing platforms. It’s a trend marketers should keep an eye on — not only to keep up with your industry but also to look out for new opportunities for your company. For now, you should be checking out this new feature to see if it makes sense for your marketing goals … but remember: publishing to LinkedIn shouldn’t replace publishing to your own company blog. Though you technically own the content you publish to LinkedIn, you’re essentially renting the space — if LinkedIn decides to change its publishing rules, you’re at their mercy. We’ve seen this happen with lots of Company Pages on Facebook. As soon as the News Feed algorithm changes, companies are scrambling to change their content strategy. The moral of the story? See how publishing to LinkedIn could help you meet your marketing goals … but don’t put all of your content eggs in one basket. Building up your own blog will give you more ownership over your success. Will you start to publish to LinkedIn? Why or why not? Share your perspective with us in the comments.